Imagine yourself at your absolute best! How would you like to be living at your absolute best? Nourished, healthier and raring to go? To be at your best you need to be in tip-top shape and following a healthy lifestyle. Herbalife nutrition products aim to provide the elements every body needs daily to maintain optimum health. 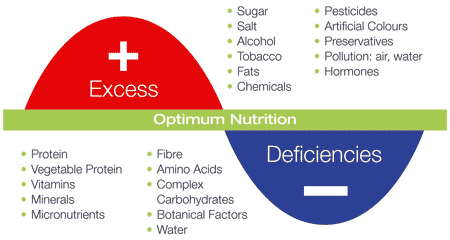 Herbalife maximises this intelligent nutrition through unique formulations and high-quality ingredients. Millions of people use Formula 1 and Formula 2 every day for convenient weight-management, sports nutrition, and all-round wellness. The modern diet generally contains too many things that are bad for us, and not enough that are good. Herbalife's core products provide a nutritional base to put you back on the path to optimum nutrition. Millions of people use Formula 1 shakes for weight-management and general good nutrition. Balanced and delicious, versatile and easy-to-prepare — the perfect healthy meal in a glass! The Formula 1 shake, packaged for portability. Available in creamy vanilla flavour. All the nutritional benefits of our Formula 1 shake, in a portable and delicious bar! Formula 2 Multivitamin and Mineral Complex works alongside Formula 1 to help provide your body with healthy nutrition. An essential element to the Herbalife core nutrition range. Fibre and Herb tablets contain beneficial herbs and fibre to help optimise your digestive health. An essential element to the Herbalife core nutrition range. A refreshing and invigorating instant green tea combining ancient herbal wisdom with modern-day ingenuity. An essential element to the Herbalife core nutrition range. Herbalife nutrition programmes are intended for use as part of a healthy diet in conjunction with regular physical activity. It is important to maintain adequate fluid intake. Weight control is achieved with a calorie-controlled eating plan. Only Formula 1 can be used as a meal replacement for weight control, all other products are food supplements and supporting products.